Bitcoin: When Are Taxes Due? If you’re still asking “when are taxes due?” this morning, today may be a tough one for you. Sorry Bitcoin HODLers and traders, your tax returns deadline is today, April 15. Bitcoin: When Are Taxes Due and Where to Start? Like many things surrounding Bitcoin, Bitcoin taxes are still somewhat shrouded in mystery. However, complicated as they may be, a quick Google search should help you navigate your way through the maze. There are a few common misconceptions about Bitcoin taxes. The first being that there is no tax on virtual currency. If you’re with the 51 percent of HODLers polled last year and think that the IRS will never catch you, you may be in for a shock. Even small-time traders who conceal earnings may wish they hadn’t if they resurface later. The IRS published guidelines on Bitcoin taxes back in 2014. The key takeaways are that Bitcoin earnings are not tax-free and that they’re viewed in the same class as an investment property, not an actual currency. This means you report your Bitcoin earnings the same way as you would with stocks, bonds, and other investments. So you need to declare every operation to the IRS–when you buy, sell, use or earn Bitcoin. You can read more in-depth advice on Bitcoin taxes from a Bitcoin tax accountant here. But for the sake of speed (after all your tax return is due today April 15), you’ll need to pay tax every time you made a profit on Bitcoin. Say, for example, that you bought $1,000 worth of BTC. The market picked up and you sold the same amount for $1,500. You pay capital gains tax your $500 profit. If you woke up today thinking about Bitcoin and asking when are taxes due, the chances are you haven’t been keeping a log of all your transactions. If that’s the case, go through all your exchange and wallet records, at least, the ones that you can remember. Moving forward, if you want to avoid a fine from the IRS, keep a report of all transactions. For today, download the 8949 form, fill out as much as you can, and turn it in. Small-time traders currently need to keep their own logs. Coinbase, for example, will only issue a 1099-K form for traders who placed over 200 orders accounting for at least $20,000. That doesn’t apply to many Bitcoin hobbyists. There’s still a somewhat “they can’t catch me” sentiment among some traders. But, the IRS is getting more informed about Bitcoin all the time. Last year, for example, a very small fraction of people reported capital gains on their Bitcoin. But many of them received nasty letters from the IRS. In 2019, many more traders are expected to report their BTC taxes. 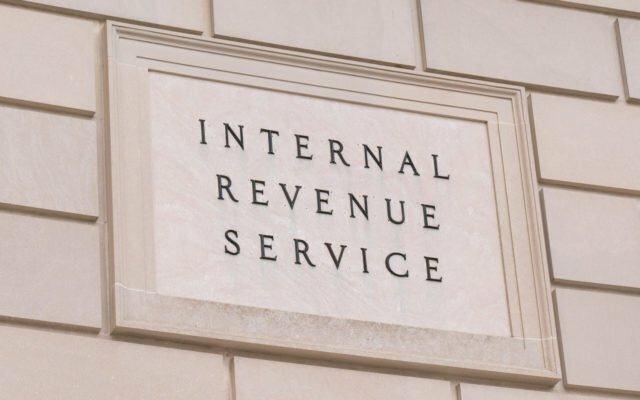 This jump in the number of HODLers expected to file to the IRS is also in part due to the fact that traders can report their losses as tax write-offs as well. While 61 percent of the Bitcoin community didn’t realize this was possible, people are gradually becoming more aware as the uncertainty clears. With the market crash in 2018, many people sold at a loss. This means that they can chalk up this loss as a tax write-off, which should be of some comfort at least. Many Americans believe the IRS is out to get them. But if they took the time to understand the system a little better, they’d realize they can make it work for them as well as against. Another example of this is long-term capital gains. In the U.S., taxes on long-term profit gains are discounted. This means that if you’re HODLing, it pays, tax-wise at least, to hold on for at least a year and a day, unless you get shot in the foot by market volatility of course. Moreover, BTC wallet to wallet transfers and buying BTC with USD are not taxable events (unless you HODL and make gains or losses). Receiving Bitcoin gifts under $15,000 is also non-taxable. There’s still a long way to go to educate people about their rights and duties when it comes to Bitcoin taxes. But if you start to learn the tricks and keep yourself organized, it won’t be so hectic this time next year. Will you be filing your Bitcoin taxes this year? Let us know below!